Younger and Law & Order: SVU actor Peter Hermann and I get into the groove! We gush about our favorite movies. Digressions! Tangents! We go majorly off-topic. Then he flips it on me. Suddenly its The Peter Hermann Show and I'm his first guest. In fact, we record an extra episode later, with Peter as host and me as guest. 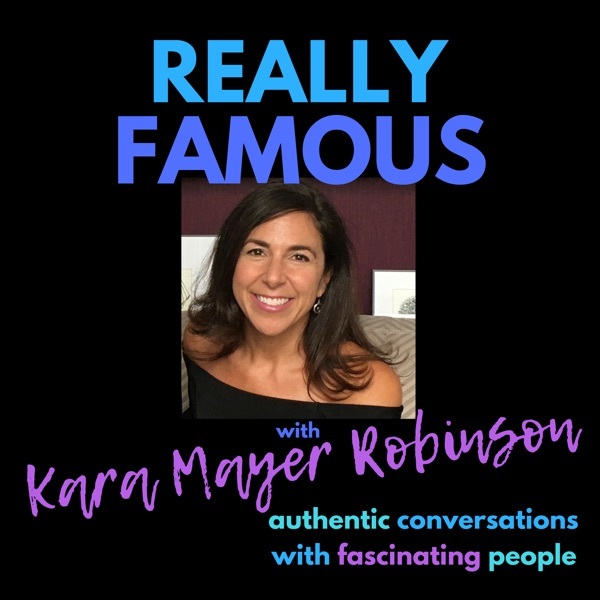 Subscribe to Really Famous now and get it as soon as it's released. Yes, we talk Younger, Charles, Liza, Maggie and whether he's #teamcharles or #teamjosh. But there's MORE TO THIS than I can reveal just yet. Listen to the show for more details. Say hi on social media. Share your thoughts with me - and everyone! 1. Dann + Ellie. You are amazing. Thanks for your enthusiasm + for spreading the word on Twitter. 3. Hotel Mediterraneo in Rome, for being a spectacular host. Special thanks to Gianfranco, Ciro, Albert and Roberto. We deeply analyze films from The Incredibles to The Godfather Part 2. We talk Friday Night Lights, Parenthood, The Sinner, The Affair, Lost, Get Out. He shares how he met his wife, Law & Order: SVU star Mariska Hargitay. We fret over attention spans, iPhones and parenting. We try to get a grip on how planes and phones work. We ponder what to do when you tell yourself, "It's too late." Peter flips the interview back onto me. I give inside scoop on the therapist's perspective - BIG reveals! I also dish on being a writer. Shark Tank investor, branding genius and entrepreneur Daymond John talks balancing work + family, being a dad, confidence, assumptions people make about him and where he goes when he's hungry. Photos - https://www.reallyfamouspodcast.com/daymond-john Get in touch! - reallyfamouspodcast@gmail.com Twitter - @kara1to1 Instagram - @reallyfamouspodcast Facebook - @karamayerrobinson Take my 2-minute survey - https://www.surveymonkey.com/r/YRLPKZG Like Daymond John's interview? Try these... Dog Whisperer Cesar Millan interview TV co-host Tim Gunn interview Entrepreneur Liz Lange interview Interview by Kara Mayer Robinson. Music: Take a Chance by Kevin MacLeod (incompetech.com), licensed under Creative Commons. Tim Daly is back for a new conversation!